– How did you come to crossfit? How did it all begin? – I started exercising thanks to my husband in 2015. He was coaching an athlete from our club, preparing her for the competition. I was pregnant, so I could not do it myself, but I really liked what I saw. After giving birth to my child, I got engaged in functional training in order to quickly get back in shape, and in about a year I started crossfit. Well, I’ve been in sports since childhood, I have the title of Candidate of Master of Sports in swimming, I have been doing dancing, I am a licensed zumba instructor, and I was just delighted, since I traveled all over Ukraine, attending various master classes etc. As you can see, everything changed after childbirth. – Do you train with a coach or on your own? – My husband has undergone training and has a Level 1 certificate, so I train under his guidance. And I also have a weightlifting coach. – Last year you became the winner of the Kyiv Battle 2018 in the category “Amateurs”. Was this your first crossfit competition? 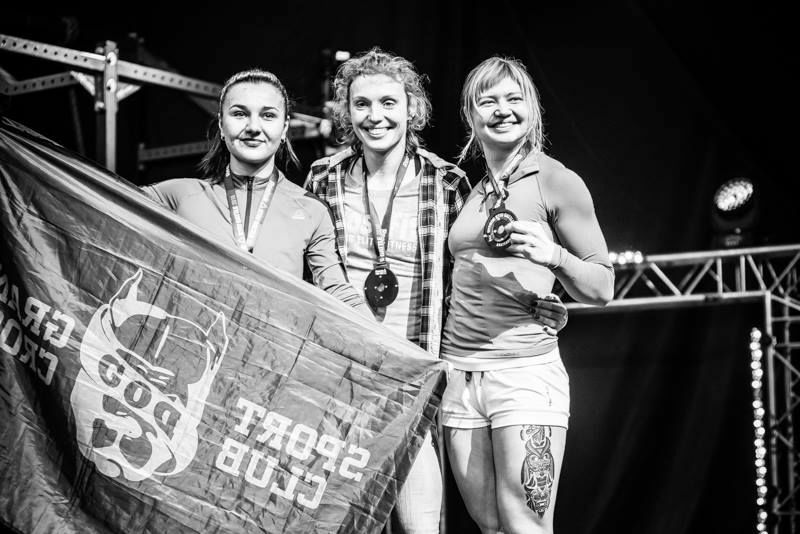 – It was my second time participating in Kyiv Battle, and I had a pretty active year before that: I participated in Odessa Benefit, and at the Dog & Grand Crossfit fitness club competition, and at Banda Open Games. I had something to compare it with, and I can say that last year’s Kyiv Battle was very cool. In 2017, the complexes for amateurs were more monotonous: the bar and the barbell without any particular variations, and in 2018 I was surprised by the first task, they added handstand walk, other components, so my enthusiasm was increasing, and I was looking forward to the final stage, the competition process was very interesting. – How and when should one start preparation for the competition? – First of all, one needs moral preparation. If you are not morally set to fight, first of all, fight with yourself – nothing will work out. Whether you want it or not, different thoughts come to your head during the competition, and if you give in, you shouldn’t even start. Fear, anxiety, distress, comparing yourself to others – you can’t avoid it, it happens to many athletes. From my own experience, I can say that the training process never stops, but in about 2-2.5 months before the competition you begin a more active phase of training, you may have two workouts per day. When you rest, you do easy training, for example, just swimming or jogging. – How do you distribute your energy during the competition day? How do you effectively recover between complexes? – Between complexes I try to accumulate energy, move less. During the recent competitions, I tried to rest lying down to allow my muscles to relax. So there are no special secrets (smiles). – Tell us about your nutrition before and during the competition. – It is fundamentally different. Most athletes have almost no food during the day of competition. You’re afraid to eat too much, because if you don’t know the exercise complexes ahead of time, you do not know what to be ready for, and you try to minimize calories in order to prevent difficulty in movement or breathing. You can take sports nutrition, especially protein, if you have time, because often the exercise complexes go one after the other, and there is no time to even think about food. And on regular days I divide my food into three complete meals and snacks. I also make sure my body gets enough nutrients. – How do you find time for training? – I have two children and realize that I’m doing it for them. I show them videos, bring medals, bring them to workouts or competitions if possible so that they would see everything from the inside, and I also want to set a good example for them of how to lead a healthy lifestyle and love sport. I believe that healthy children make a healthy nation, healthy lifestyle and discipline have never harmed anyone. I’m lucky, because I train and work in one place – this is a nice bonus. I am an instructor, and when I have free time, I use the moment. Of course, I try to follow a regime and control it, as well as organize time so that it works best for me and my clients. – How has your perception of crossfit changed compared to what it was before you started doing it? – Every year, the level of athletes – both professionals and amateurs – is significantly increasing. When I took up crossfit three or four years ago, they didn’t have most exercise and components that I do today. Only basic squats without a special variety, weightlifting. I do not remember barbells at all – well, it was much easier. And today the amateurs are required to do handstand walk, pull-up on a bar, etc. And don’t even get me started on professionals. – How did your life change after taking up crossfit? Does it help you in everyday life? – I became more active, but at the same time I agree with my husband who noticed that during the training process in the gym I run, jump, move a lot and get so exhausted that so by the time I come home, I can barely move (smiles). Everyday household chores: washing, feeding, putting kids to bed, doing homework – all of that is done automatically. This is probably the only drawback. In general, I view crossfit as a lifestyle and a vital need, such as eating or sleeping. If you like something, you need to do it, regardless of how old you are – 18 or 45. By the way, in October I was at a competition in Cyprus, and I went there to see the athletes, who are 50 years old. It is simply impossible to put my impressions into words! Women and men look excellent, their eyes radiate life, they perform the same set of exercises, live a full life and do not think that it is time for them to retire. I loved it! We do not have such athletes yet, since crossfit is a rather young sport in Ukraine, but I doubt we will ever have anything like this because of our mentality: people do not care about what they like to do, but rather think about what others would say or think about them. – Do you plan to move on to the category “Professionals”? – Yes, I want to, but I understand that I need more experience (smiles), not so soon. I objectively assess myself, I feel that I have grown over the year, gained experience and can move on, but not everything happens the way we want. We’ll see how it goes. 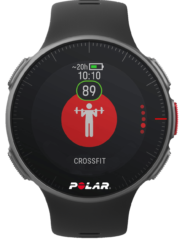 – For you personally, is crossfit a sport for life or for a certain purpose? – Any sport for any person should be for a lifetime. It all depends on who your coach is. You can ruin yourself in a month, but if you have an experienced instructor, who can properly scale complexes, training regime, nutrition, then you want to keep training, not just for the sake of victory in a competition. It is an integral part of life that gives you the opportunity to feel good, be cheerful, active, purposeful, be an example to your children, and so on. Most of our problems come from lack of physical activity. 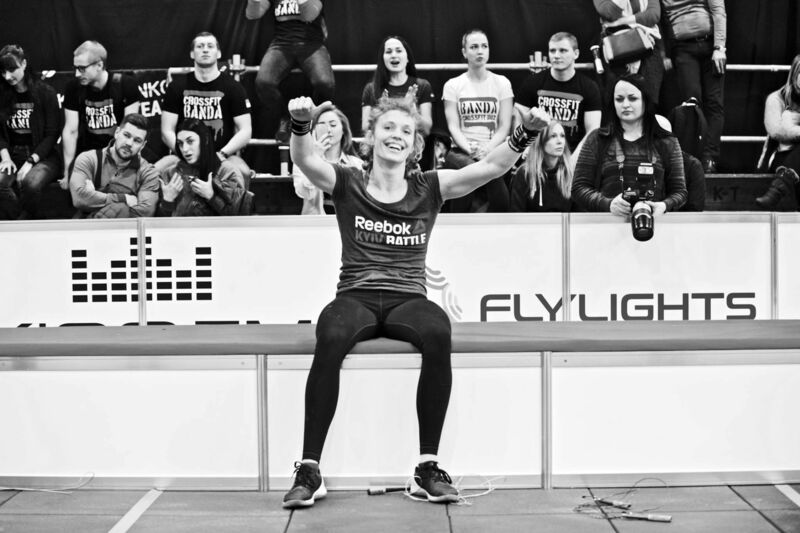 – Is there a crossfit athlete with whom you would like to compete? – Of course, I would like to try myself against our girls: Mariana Fedorenko and Svitlana Kropyvets. By the way, with we were together in one team with Mariana at the Be More Human competition. Among foreign athletes, I really liked Kara Frey from Slovakia, we met at several competitions. I follow her performances, and it seems to me that she will be among top athletes in future. I would like to compete with her int at least one complex. 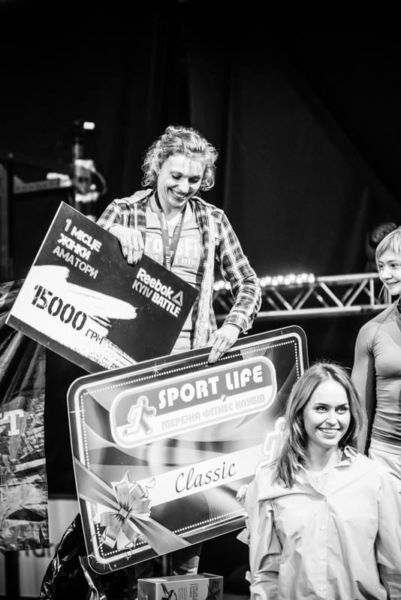 – What can you recommend to the athletes who will be participating in Kyiv Battle 2019 for the first time? – Do not be afraid. The question is not how strong or weak you are, but how morally ready and how motivated you are. Yes, it is scary and exciting when you do it for the first time, you’re nervous while you’re recording online performance, and so on. But the emotions you get are definitely worth it, you cannot get them anywhere else. Besides, this is an invaluable experience, a chance to test yourself and see what you can do. Therefore, my advice for you is to move forward, to try yourself and not to be afraid that you might not succeed. It simply means that you can do better next time.